Since the beginning of the year the world has witnessed 24 national elections in which nearly 100 million people cast their votes. All together in 2018, there will be a total of 68 planned electoral processes in 45 countries ranging from presidential and legislative to local elections. 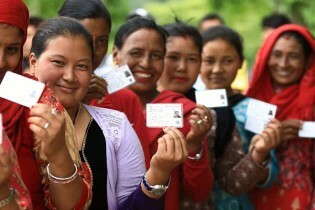 Elections remain one of the key democratic processes through which people express their opinion on the way their country and communities are managed. In recent years, technological developments and the liberalization of media markets have fueled an explosive change in media and communication, with profound implications for how people are informed, how they interact with each other, and how they participate in public life. The Sustainable Development Goals 16 (SDG16) calls on UN Member States to promote responsive, inclusive, participatory and representative decision-making, and to build effective, accountable and transparent institutions at all levels. We tend not to worry when things are going well. If people can take care of their daily business and send their kids to school without fear of violence, resolve disputes through a functioning justice system when the need arises, express their views both in private discussions and in public processes, feel they can truly contribute to decisions that affect their lives, and know effective institutions are in place to deliver basic services to their families and communities without interruption or the need for bribes, chances are they will be broadly content with the way their society is managed.